Designed for demanding, high-vibration applications that require maximum holding force, Link-BeltÂ® Centrik-LokÂ® CL Series Normal Duty Bearing features 360Â° concentricity, retained 2-piece collar for undersized shafting up to -0.004 in., and retention feature that keeps locking collar attached to bearing during installation. Raceways are precision ground and run coolly and quietly. For corrosion resistance, bearing has black oxide inner/outer ring and collar, and powder-coated housing. Milwaukee, Wis. - Rexnord is announcing the launch of the Link-Belt® Centrik-Lok® CL Series Normal Duty Bearing, a new concentric locking ball bearing for high-speed, high-vibration applications. The new Link-Belt® Centrik-Lok® CL design represents a concentric-style shaft mount for Link-Belt Ball Bearings. Designed for demanding applications that require superior holding force; including air handling, package handling, aggregates, agriculture, construction and shipping - concentric locking provides straightforward installation for longer bearing life and performance. Centrik-Lok's inner ring featuring eight gripping tabs solve the toughest shaft mounting problems. Its unique split-collar design utilizes a high-strength socket head cap screw for secure and easy installation. 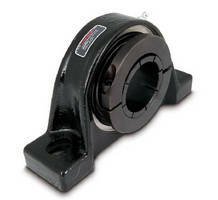 The locking collar yields superior axial holding force, which is 20 percent or greater than industry competitors. o 360 degree concentricity for high-speed, high-vibration applications. o A retained two-piece collar design for maximum holding force on undersized shafting (up to -0.004"). o An innovative retention feature that keeps the locking collar attached to the bearing during installation. o Super-finished raceways that are precision ground and run coolly and quietly. o Black oxide inner ring/outer ring and collar and powder coated housing for corrosion resistance. For more information on the Link-Belt Centrik-Lok CL Series Normal Duty Bearing, contact the Rexnord Customer Care center at 866-REXNORD (866-739-6673) or visit Rexnord's Web site at www.rexnord.com. Headquartered in Milwaukee, Wisconsin, Rexnord manufactures and supplies highly engineered products, including bearings, couplings, gears, modular conveyor belting, and industrial chain, serving a broad range of customers worldwide. Customers worldwide have consistently relied on Rexnord for efficiency, knowledge and experience to deliver dependable solutions at the lowest total cost of ownership. 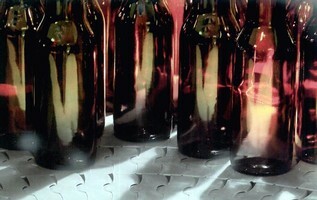 Learn more about Rexnord products and services at www.rexnord.com. 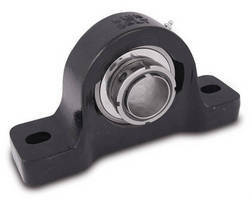 Heavy-Duty Ball Bearing is designed for efficient installation. 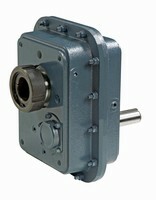 Gear Drives are built to withstand tough environments. High-Torque Electric Brake suits heavy industry equipment. Shaft-Mounted Drives feature simple drive removal. Side-Flexing Chains stay flat and level on curves.